"2015 has already been a very strong year for WatchGuard." 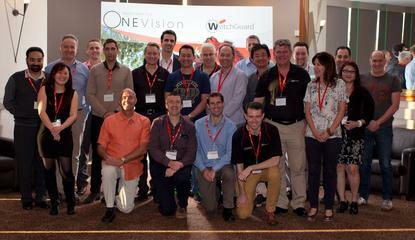 Security specialist WatchGuard Technologies has celebrated a year of “fast growth and fantastic partner momentum” across Australia and New Zealand at this week’s WatchGuard Elite - ONE Vision Conference held on the Gold Coast. Honouring its best performing business partners through the Elite 2014 competition, the conference recognised top revenue achievements by channel partners and resellers for sales of WatchGuard products and services for the 2014 calendar year. “It gives us great pleasure to recognise and reward the commitment and support of our partners and resellers who played a major role in the company’s sales growth and performance across the region in 2014,” says David Higgins, Regional Director, Australia and New Zealand, WatchGuard Technologies. “This conference was designed to reward our partners as they are the core driver of our business,” Higgins adds. “We also took the opportunity to deliver valuable WatchGuard-based content as well as discuss industry trends and issues that are affecting Australia and New Zealand.